From the boxing ring to the shooting range to the athletics arena, it was India shining on the penultimate day of the 21st Commonwealth Games where the country claimed its biggest single-day haul of the ongoing edition, ensnaring eight gold medals across five disciplines. The boxers picked up three, the shooters added one, the wrestlers claimed a couple, while the paddlers and the track-and-field contingent picked up one each on a truly golden day for the country, which also yielded five silver and one bronze medal. The country held on to the third position in the overall medal tally with 59 medals -- 25 gold, 16 silver and 18 bronze medals. 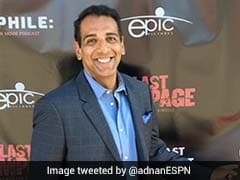 It all started at the shooting ranges in Brisbane, where Sanjeev Rajput shattered the Games' qualifying record before finishing on top in the 50m rifle 3 position final. "I would say it was a weak final for me because I have been shooting 458 plus all the time, but this time it was weak in the kneeling position and I had to cover it somehow in the prone but, still again, not so good in the standing," said the shooter, not particularly satisfied with his effort but one which was enough to get him his first CWG gold. He had won a bronze (2006) and a silver (2014) in the earlier editions. The wrestlers were at it at the Carrara Sports and Leisure Center. Sumit (125kg) and Vinesh Phogat (50kg) picked up the top honours in their respective categories even as Olympic bronze-medallist Sakshi Malik (62kg) settled for a third-place finish, along with Somveer (86kg). 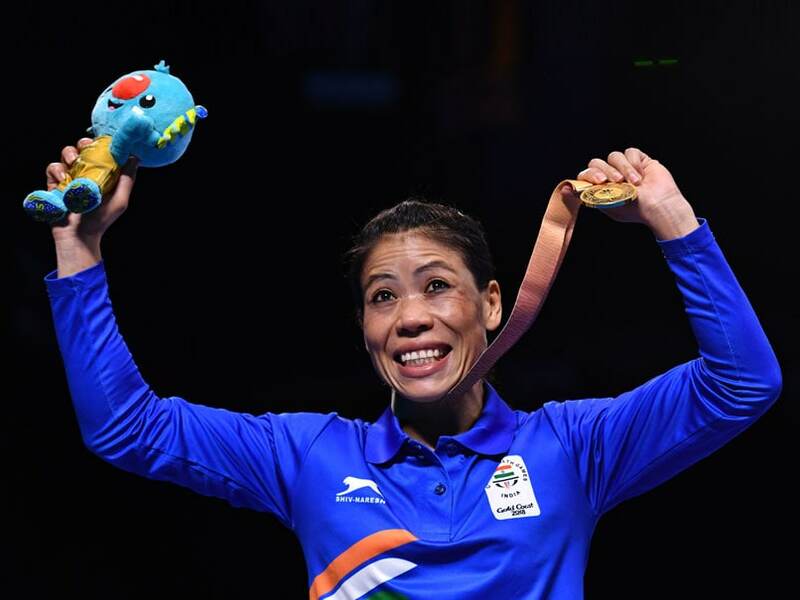 At the boxing arena of the Oxenford Studios, MC Mary Kom (48kg) was joined by Vikas Krishan (75kg) and Gaurav Solanki (52kg) in scripting history. 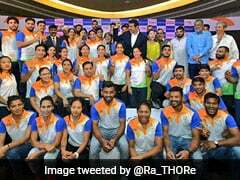 The boxers, led by three, finished with nine medals in all, their best ever performance, two better than the previous best attained at 2010 Delhi Games. While Mary Kom became the first Indian woman boxer to claim a CWG gold, Vikas became the first to have gold in both the Asian and Commonwealth Games. "Which other boxer has the number of medals that I have? ," asked the beaming mother-of-three, who will be India's flagbearer at the closing ceremony tomorrow. "I am so happy to have created history." In the afternoon, Neeraj Chopra wrote his own little piece of history at the Carrara stadium when he became the first Indian javelin thrower to claim a gold medal. 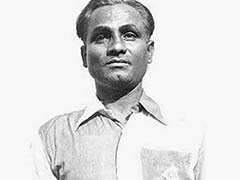 His gold was only the fifth for India in track and field. The 20-year-old destroyed competition with his very first throw of 85.50m before taking it a notch higher with a season's best effort of 86.47m. None in the field came close to his performance even though he himself seemed a shade disappointed on missing a personal best by "just one centimetre". "In my desperation for a personal best, I tried so hard that I tumbled over in my last two attempts. But I am very happy and I have lot of competitions this year to achieve the personal best," Neeraj said after his triumph. Good news poured in from the TT venue of the Oxenford Studios where Manika Batra, in perhaps the form of her life, became the first woman paddler to claim a gold medal. "This is my first individual medal in this big tournament (women's singles) and I am feeling really proud," said the 22-year-old, who had earlier starred in the gold-winning team performance before clinching the women's doubles gold with Mouma Das. Dipika Pallikal and Sourav Ghosal picked up the mixed doubles squash silver, while Sanil Shetty and Harmeet Desai claimed the second position in table tennis men's doubles. The lone bronze of the day was delivered by shuttlers N Sikki Reddy and Ashwini Ponnappa. The disappointments of the day were the two hockey teams, both of whom failed to secure medals, ending fourth after losing to England in their respective bronze-medal playoffs. It was an especially disappointing performance by the men, who had returned with silver medals in the past two editions.